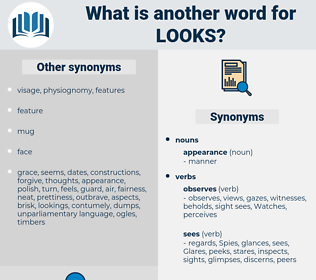 What is another word for looks? consider, Discussing, considers, talks, Discussed, probes, atmospheric, really, be, pretty, seem, becomes, Been, dwell, heading, mulls, pending, waiting, chili, weighs, hold, shall, study, Studies, air, applies, timeout, there, showing, yield, seeking, eager, out, discuss, discusses, sought, standby, can, sleep, Diane, eastern, Does, 're, 've, Was, 'est, il, Got, show, shows, TIS, TSE, est, ESTs, east, are, ha, hunt, hunts, TSES, 's, heads, he, tries, might, wants, makes. considerations, perspectives, Addresses, yes, aesthetics, enhancements, undermines, blows, envisages, physically, beautiful, landmines, colors, expressions, dealings, layout, Visions, clothes, Moles, Yourself, Perceptions, receives, floodgates, presents, respects, expectations, approaches, Researchers, statement, manholes, offers, traffickers, moves, highly, indications, must, handsome, Styles, touches, pertains, deals, provides, status, aircraft, tracing, rule, stands, cosmetics, kids, remains, brings, teeth, expects, outdoors, lies, accords, minds, research, aspires, treats, works, processes, physics, Tastes, comparisons, stays, don, aspects, hostages, wears, image, images, plans, Focuses, focusses, design, climate, Mouths, go, regards, OOPS, views, enough, plane, gates, Whether, toots, means, Plays, ranks, lads, physical, trusts, sets, runs, Forms, Upon, leads, Capita, takes, ec, hopes, GODS, amounts, doors, ranges, covers, patterns, being, very, needs, Bears, nuts, think, thinks, Has, Did, MINES, Rests, head, It, signs, talks, be, ca, Cas, shall, Studies, discusses, Does, est, ESTs, east, TSES, 's, heads, makes. approximately, explores, acknowledges, investigates, Consultations, reconsiders, Examining, examines, looms, evaluates, overview, locates, scrutinizes, descriptions, attention, contemplates, nowappears, tackles, concentrates, exists, outlines, approximates, consultation, Loves, collects, envisions, follows, description, develops, resembles, stops, negotiates, consults, check, checks, Analyses, observes, revolves, represents, know, knows, highlights, oversees, articulates, reports, demonstrates, speaks, delivers, Smells, accommodates, rotates, watching, constitutes, operates, transitions, mentions, handles, welcomes, concludes, catches, listens, smeils, open, opens, supervises, incorporates, Leaves, recognizes, particular, influences, analyzes, stipulates, balances, PROSPECTS, explains, recognises, illustrates, Inspecting, inspects, folds, anticipates, perspectives, increases, transcends, appreciates, outcome, perceives, analysis, emphasises, likes, notes, parallels, promises, okay, undertakes, identifies, performs, enjoys, overturns, review, reviews, reviewed, reviewing, endeavours, foresees, flows, understands, exemplifies, SITS, slightly, reflects, analytical, summarizes, encompasses, determines, describes, Trafficking, responds, lays, transpires, reiterates, concerning, concerns, fills, displays, belongs, tells, classifies, exposes, interprets, occupies, monitors, approves, reveals, possesses, therefore, contributes, employs, involves, revises, applauds, contains, conducts, commends, assesses, refers, surface, surfaces, compares, Toward, risk, Addresses, elaborates, attends, consists, wanders, poses, verifies, produces, holds, proceeds, integrates, suggests, owns, interacts, signals, Recalls, linger, expands, comprises, spells, coincides, sponsors, emerges, prescribes, indicates, sticks, route, portrait, manages, switches, expresses, devotes, governs, sends, regulates, entails, yields, awaits, Comes, relies, accepts, conveys, establishes, throw, throws, renders, prepare, proposes, estimates, utilizes, turn, turns, visits, Strikes, contends, mirrors, Guards, falls, arranges, allows, submits, fosters, invokes, specifies, promotes, proves, affords, occurs, leans, depends, underlines, embraces, OWES, serves, releases, suffers, points, denotes, arrives, resorts, caters, pursues, tours, yearns, goes, introduces, enables, implies, exhibits, rises, strives, maintains, notice, targets, Houses, assumes, grows, includes, spends, us, helps, depicts, defines, stores, purports, Permits, fixes, accesses, tosses, viewing, extends, picks, chooses, captures, builds, \, hinges, believes, undermines, printing, prints, stresses, Tracks, entrusts, glue, features, Gives, smacks, lists, obtains, pays, scans, achieves, audits, keeps, broaches, lags, reminds, Affects, calls, returns, saves, heeds, hosts, adopts, retains, centers, arises, relates, account, accounts, envisages, Towards, Carries, agrees, engages, reads, lead, finding, finds, casts, counts, senses, Queries, creates, cares, PAVES, hears, attaches, varies, ensures, phase, Worries, screens, parses, starts, happens, raises, passes, aims, lets, warns, fits, hope, desires, argues, Deems, receives, presents, causes, respects, approaches, bends, spins, centres, Levies, offers, poor, moves, draws, highly, uses, intends, adds, asks, touches, pertains, deals, provides, seams, assures, attempts, says, wishes, Drives, stands, tends, Surveys, puts, remains, thinking, thought, brings, Fears, S, mine, expects, outdoors, lies, research, matches, aspires, acts, me, treats, works, processes, Tastes, enters, stays, wears, meets, plans, Focuses, focusses, go, regards, good, here, views, toots, means, Plays, ranks, physical, trusts, sets, runs, Forms, leads, takes, ec, hopes, amounts, ranges, covers, sheds, very, needs, gets, Bears, thinks, Has, Rests, head, considers, talks, be, becomes, mulls, Cas, waiting, weighs, study, Studies, applies, discusses, Does, 've, shows, hunts, 's, heads, tries, wants, makes. Here is the word which looks like 'river.
" Looks like an easy trip," she told Jane. 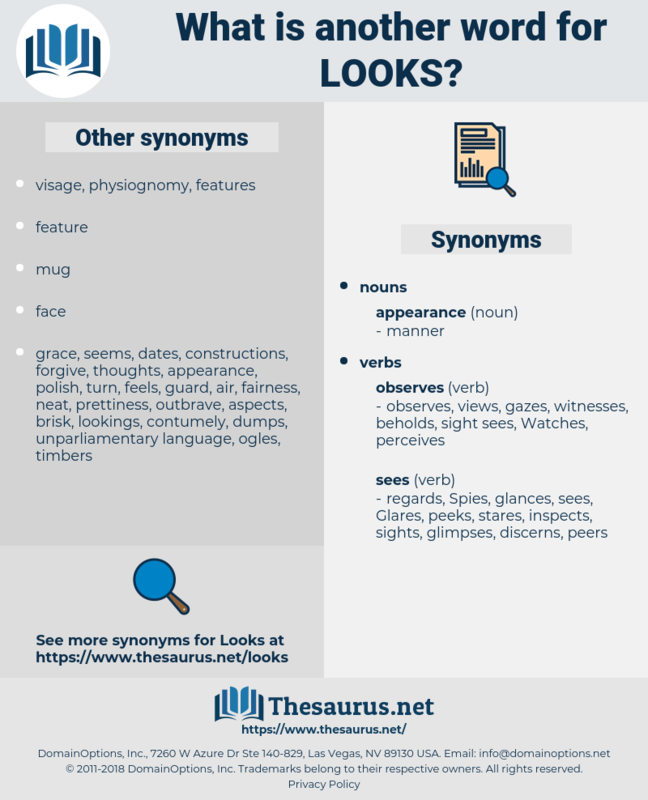 leg, locke, log, lick, lilac, leakey, lassa, lossy, lollygag, logic, Leo Esaki, lake keuka, laugh away, Louis X, lewisia, laugh, leaky, legacy, lachesis, lysis, lagos, lugosi, louche, lees, lawless, lasso, lose, losses, less, leo xiii, lessee, lhasa, loess, lycosa, loloish, Louis Ix, lake, league, leek, lychee, lx, lock away, leach, Louis Xiii, luce, Louis I, loos, lock, lxxi, leechee, luscious, lax, lek, lxxx, lxxxiii, logos, lazy, lallygag, liaise, lac, loggia, lass, laze, lxi, lao-zi, lilylike, lucky, Louis XI, Lusaka, lag, Lake Cayuga, lace, lisu, loki, lucy, lucas, llullaillaco, lasix, leuciscus, low-key, loquacious, lackey, lazio, lachaise, laic, lechwe, leak, lough, lassie, Louis Ii, lox, lease, leacock, lug, leech, lochia, lash, lichee, Louis Xii, lxx, loxia, lush, leakage, lie awake, laws, logy, Louis Agassiz, leigh, leash, lxxxii, lichi, lxxiii, Lugh, luxe, lxxxi, liza, lakh, louse, laicise, like, legs, loge, leo ix, Lego, lyssa, lux, luck, lxxii, lascaux, lacy, laos, luke, lxii, liege, leggy, luggage, loose, logo, liliales, loasaceae, lygus, laius, Liliaceae, loasa, loligo, louis, liliaceous, loch, lockage, lxiii, luge, lycee, lexis, lewis, lac wax, Lech, Louis Iii, lockjaw, loss, luik, lycia, locus, lousy, likewise, loco, loach, lack, log z's, look away, Leo X, laicize.